"Hi there! 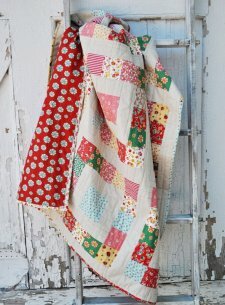 I am really excited to share this quilt with you guys today for Christmas in July! "This quilt has been in the works for a little while now, and I couldn't be happier with how it turned out! This quilt was made from the Back Porch Prints from Wilmington Prints. These prints are 1930's inspired Christmas prints, and are really spectacular. To stick to the vintage theme, we thought it would be great to use a linen fabric for the background fabric. The two different fabrics really play well with each other and give it an awesome vintage vibe and great texture. 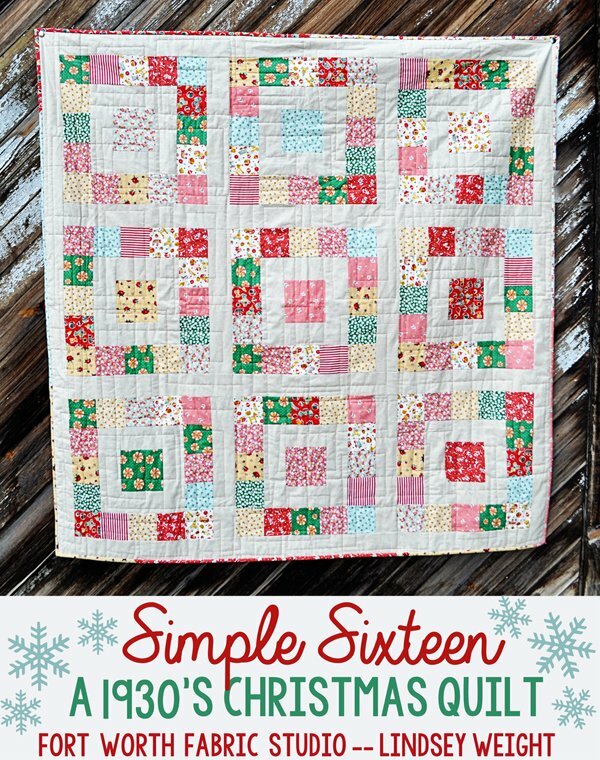 "Simple Sixteen is made from 16" blocks that are made using basic piecing techniques. 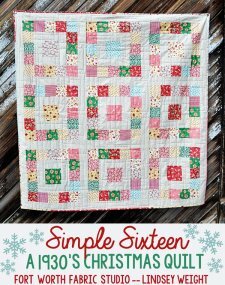 This quilt comes together quickly and you can easily adjust the size of the quilt by adding or taking away blocks."